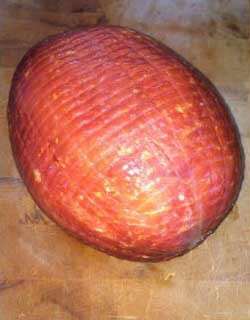 This is our signature old-fashion hickory smoked and fully cooked bone-in ham which we smoke for 24 to 48 hours. There’s nothing like slicing into a juicy smoked bone-in ham and tasting the quality-smoked flavor packed into every bite. Our smoked ham makes for the perfect accompaniment to breakfast or served as the main course for any meal. Every bite into our smoked bone-in ham, boneless ham, is a bite in history and an injection of tradition and flavor. Willie’s Smoke House, LLC has been around for over 40 years and has over 100 years of tradition and experience to know what good quality smoked meats and cheeses should taste like, and take it very seriously. Our whole bone-in hams are anywhere from 15 to 19 pounds. That is quite a bit of ham! Invite some friends or family over to share in the deliciousness of our hickory-smoked hams over some great conversation. Or better yet- save it for later to enjoy whenever you get the craving for great ham. 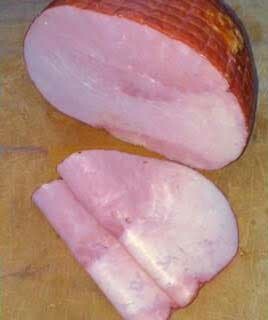 Our fully cooked bone-in ham is smoked for 24-48 hours, flavoring it to perfection. 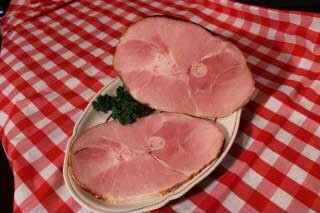 Take this delicious bone-in ham home today! Give Willie’s a try and your palette will thank you!